Zazen — The Contemplative Life. The word Zazen simply means "seated meditation." Although it is a generic term, Zazen has come to refer to a body of meditation practices associated with Zen Buddhism. There are three distinct practices that are generally considered to fall under the category of Zazen. By far the most commonly practiced form in Western Zen Buddhism is a simple breath meditation, which uses one's breathing as a focus of attention. Less familiar Zazen methods include koan practice, and shikan-taza. In typical Zazen meditation, one sits with their back straight, often in a lotus or half-lotus position, with chin slightly tucked. Eyes remain open but "unfocused," and directed at a point on the floor in front of the meditator. Attention is then brought to the breath. In initial training, one may be instructed to count their breaths from 1-10 and then repeat, but counting is not strictly necessary. After the meditator begins, thoughts will naturally arise in the mind: To-Do lists, memories, plans, desires, fantasies, etc. When thoughts arise, the attention is simply returned to the breath. Through this practice, the activity of the mind is eventually stilled. In beginning practice, meditators are encouraged to meditate 20-25 minutes, twice a day. This style of Zazen is associated with the Soto sect of Zen Buddhism. In Koan practice, a question, statement, or story which is considered a "logical paradox" (i.e. unsolvable using reason) is given to the practitioner. The meditator then seeks to "penetrate" the koan by deep inquiry, during both official meditation and in daily life. Famous examples are: "What is your original face before your parents were born?" or "What is the sound of one hand?" Generally, the first koan given is the question: "What is Mu?" The purpose of koan practice is to drive the mind out of its rational functioning and into an intuitive understanding of reality. Koan practice is associated with the Rinzai sect of Zen Buddhism. "At the time of his great awakening Dogen was practicing shikan-taza, a mode of zazen which involved neither a koan nor counting or following the breaths. The very foundation of shikan-taza is an unshakable faith that sitting as the Buddha sat, with the mind void of all conceptions, of all beliefs and points of view, is the actualization or unfoldment of the inherently enlightened Bodhi-mind with with all are endowed. At the same time this sitting is entered into in the faith that it will one day culminate in the sudden and direct perception of the true nature of this Mind – in other words, enlightenment." Thus, one practices shikan-taza with the faith that Enlightenment, or the realization of "Bodhi-mind," will arise as a result. Any philosophy about Zen is, in a sense, going beyond Zen. 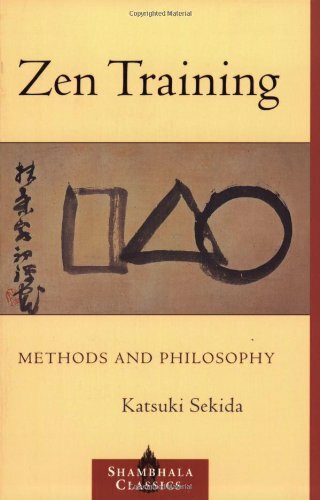 Zen Buddhists repeatedly put focus on the practice itself, and not abstractions about it. Nevertheless, different intellectual models of the practice arise among Zen practitioners and teachers. Widely different understandings exist between lineages and even between teachers within the same lineage. It is controversial to even say that Zen Buddhism is one coherent movement, and is probably better thought of as a series of movements with a family resemblance. Thus the perceived aims of the practice will differ between authors. Samadhi: One way that some authors talk about what happens during zazen is in terms of Samadhi. ...there is no reflecting activity of the consciousness, and it is thus hard to describe. However, if we were to try to describe it, it would be an extraordinary mental stillness. In this stillness, or emptiness, the source of all kinds of activity is latent. It is this state that we call pure existence. This, perhaps, is the most simplified form of human existence. Every time we succeed in banishing a mean or restricted ego – a petty ego – another ego with a broader outlook appears in its place, and eventually what we may call an 'egoless ego' will make its appearance. And when you have acquired an egoless ego, there is no hatred, no jealousy, no fear; you experience a state in which you see everything in its true aspect. It is a state in which you cling to or adhere to nothing. It is not that you are without desires, but that while desiring and adhering to things you are at the same time unattached to them. The Diamond Sutra says 'Abiding nowhere, let the mind work.' This means 'Do not let your mind be bound by your desire, and let your desire occur in your mind.' True freedom is freedom from your own desires." It is by entering this cognitive silence through zazen, according to some authors, that we can realize what has been called "Bodhi mind," "our True Nature," "our Buddha Nature," "Big Mind," or an "egoless ego." The experience of our Buddha Nature in meditation is then naturally brought into daily life causing one to act egolessly in the world. Satori: For some authors, a more dramatic experience called Satori (sometimes called Kensho or "sudden Enlightenment"), is the primary aim of Zen practice. Zen Buddhism is often spoken of as a path of sudden Enlightenment as opposed to gradual Enlightenment. When Satori hits, it comes out of nowhere and overwhelms the individual by transfiguring reality. "Satori may be defined as an intuitive looking into the nature of things in contradistinction to the analytical or logical understanding of it. Practically, it means the unfolding of a new world hitherto unperceived in the confusion of a dualistically-trained mind. Or we may say that with satori our entire surroundings are viewed from quite an unexpected angle of perception. Whatever this is, the world for those who have gained a satori is no more the old world as it used to be; even with all its flowering streams and burning fires, it is never the same once again. Logically stated, all its opposites and contradictions are united and harmonized into a consistent organic whole. This is a mystery and a miracle, but according to the Zen masters such is being performed every day. Satori can thus be had only through our once personally experiencing it. Its semblance or analogy in a more or less feeble and fragmentary way is gained when a difficult mathematical problem is solved or when a great discovery is made, or when a sudden means of escape is realized in the midst of most desperate complications; in short, when one exclaims 'Eureka! Eureka!'" For some authors, Satori is the end-all-be-all of Zen. Other authors have a place for it in their thought, but do not emphasize it to the same extent. Even some Zen-masters or Roshis will admit that they have never experienced this state. Serious Zen training is almost always done under the direction of a teacher (usually referred to as a "Roshi"). Unlike other forms of popular meditation (such as TM), Zen is almost always interpreted in a Buddhist religious framework and is rarely marketed as meditation for the purpose of reduced anxiety or other psychological benefits. 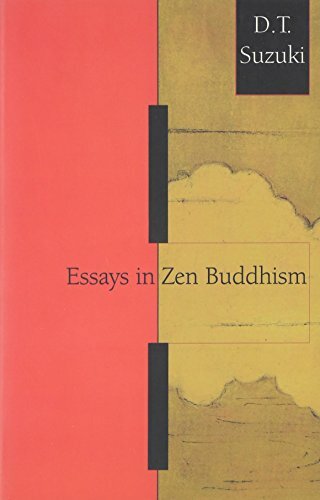 A Zen-master is concerned with Enlightenment from a Buddhist perspective.